OLAMI Resources / NLE Journal Posts / Is Teaching Really a 10-Month Position? What are You Doing for the Summer? Is Teaching Really a 10-Month Position? What are You Doing for the Summer? 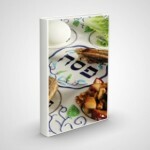 NLE Resources invites rabbis and educators from around the world to contribute guest posts. Here’s a insightful blog posted, cross-posted from JewishEd.Blogpost.com. 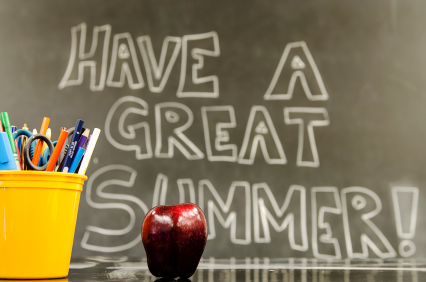 It is penned by Rabbi Dr. Aaron Ross, assistant principal at Yavneh Academy, who reflects on a question teachers regularly are asked: What are you doing for the summer? I get that question almost daily this time of year. Well-meaning and well-intentioned friends and neighbors, presumably expecting that I will be taking a well-deserved couple of months in some tropical paradise, inevitably inquire about which utopian getaway I will be frequenting from the moment that my students leave the school building until the moment they return at the end of vacation. Now, I don’t think that anyone means to be rude or demeaning. But, in all honesty, it is somewhat baffling to me that people believe that teachers or administrators simply disappear for the summer, giving nary a thought to their career for two months, then somehow return days before school begins, put posters up in their classrooms, check their rosters, and are magically all ready to go. Such a mindset seems of a piece of the thinking that “Those who can’t – teach”, that teaching is somehow the domain of those who lack “real-world” skills and is populated mainly by people looking for good vacations and tuition breaks (yes, we have those as well, but they are not the reason that most people enter the field). Preparing classes. This is number one on the list for virtually everyone. Well-constructed lessons, the type that you want your child to receive, are exactly that – constructed. And construction takes time, time that does not really exist during the school year. Summer allows a teacher the time to reflect on what he or she has done, what needs tweaking, what needs reinventing, and what needs to be scrapped. Thinking about ways to differentiate, enrich, and remediate classes so as to reach all learning, and creating ample materials for all situations, all takes time. Innovating. As education moves more and more into a digital existence, teachers have to take what they have been doing and re-imagine it through the prism of technology. Taking time to learn several new iPad apps or online sites and then figuring how to integrate them into the classroom is a task that requires the time to experiment, evaluate, revise, and experiment again. Professional Development. Don’t you hate it when your kids have the day off because the teachers have “Professional Development days”? In other jobs, that is called going to conferences, and it is common and expected in most fields. Thankfully, many such conferences in education, from one-day seminars to week-long confabs (such as the just concluded Problem Based Learning Conference http://pblworld.org/ and the International Society for Technology in Education Conference http://www.isteconference.org/2013/about_us/) take place over the summer, allowing for maximum participation with minimum classroom disruption. Nuts and bolts. When your child returns to school in late summer, chances are he will have a schedule fully laid out for him. You will probably also receive all sorts of communication from the school over the summer about a wide range of small and not-so-small details that need attention. A full slate of activities, events, and programs will likely unfold as the year goes on. One guess when all of that gets planned. There is no question that the summer is more relaxing for teachers. There are no classes, we set our own schedules (more or less), and the stress level is way down. To gain some perspective, think about students as clients and compare teachers to lawyers. A lawyer prepares and researches countless hours when working on a case, but only spends part of that time working directly with the clients. A teacher needs to do the same thing, but also needs to spend most hours during the day working directly with her clients. So when does the research time come? Right now, in one long stretch. We do not have the luxury of meeting with our clients only once a week and spending the rest of the week preparing for those meetings. Every industry has its own calendrical cadences, and ours calls for ten frenetic months, followed by a two month period where we can collect ourselves, reflect, and plan for the future. Is summer relatively restful for educators? No question about it. Are we on vacation for all of that time? Not at all. It’s time for people to stop being surprised about that. Teaching Torah with Torah Live at Summer Camps GUEST POST: Teaching Talmud with Technology 2 Free New Teaching Resources: “Kriyas Yam Suf & Matan Torah in a Nutshell” Coming to Israel this Summer? How to Determine if a Phone will Work in The Holy Land! Try Torah Live for 1 MONTH for an Unbeatable Price!